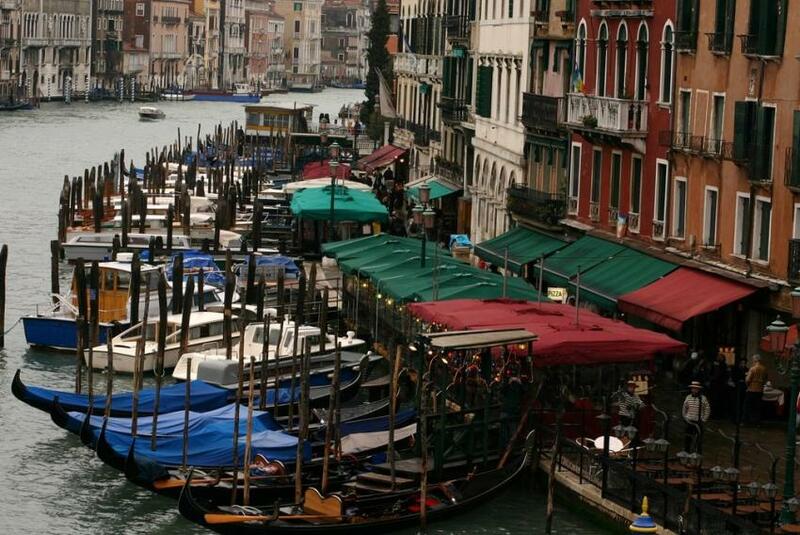 The Riva del Carbon (the coal docks) provides one of the rare walkways along Venice’s ‘Champs-Elysées of the Water God’ as the French like to call the Grand Canal. Once the residence of poison pen maestro Aretino, the Riva changes its name several times on its way from the Rialto vaporetto stop and bridge, passing Palazzo Farsetti, now Venice’s Municipio, or City Hall. The next building, the Palazzo Loredan, was, as the plaque says the home of Elena Lucrezia Corner Piscopia, who in 1678 became the first woman to receive a university degree. 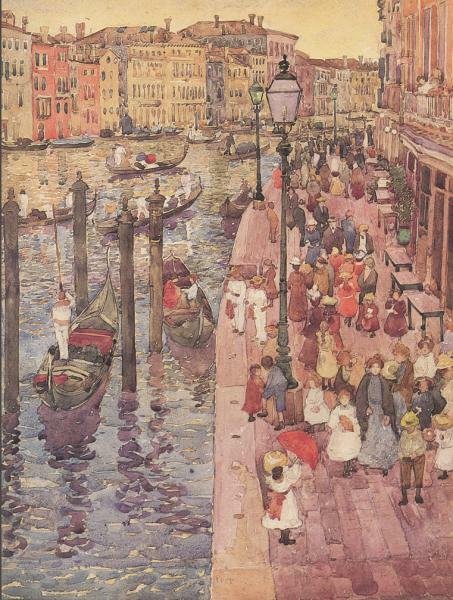 In 1898, American post-Impressionist painter Maurice Prendergast visited Venice and left a series of watercolours that are among his most delightful, including one looking down on the Riva del Carbon.